game four . . . So for game three of the Bruins Stanley Cup Playoff game against the Blackhawks, I made a “tarte aux pommes” with simple ingredients I already had on hand. In the Times today, there was a small photograph at the bottom of the front page showing what looked like a chocolate chip cookie. But this one had chunkier pieces of chocolate showing, not your usual Nestle’s semi-sweet chocolate chips that come in the ubiquitous dark yellow bag that nearly everyone buys to make that old cookie favorite. 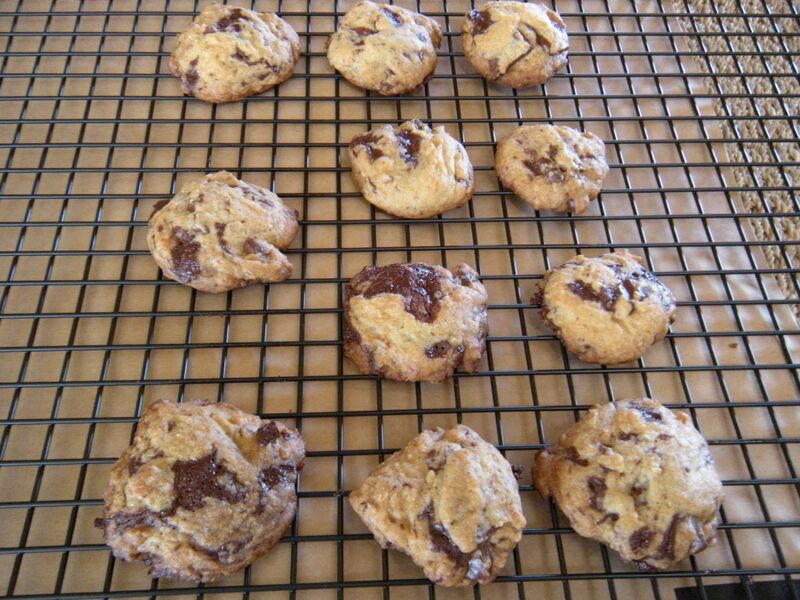 The featured article about baking these cookies was by an otherwise erstwhile health food columnist, Martha Rose Shulman. It turns out she is a ghost-baker for baking cookery book authors. As you know from reading my food posts, we like eating rather spare, healthy cooking too. Not today. The reason why the cookies caught my eye and looked so delectable is that the recipe calls for cut up bittersweet chocolate. 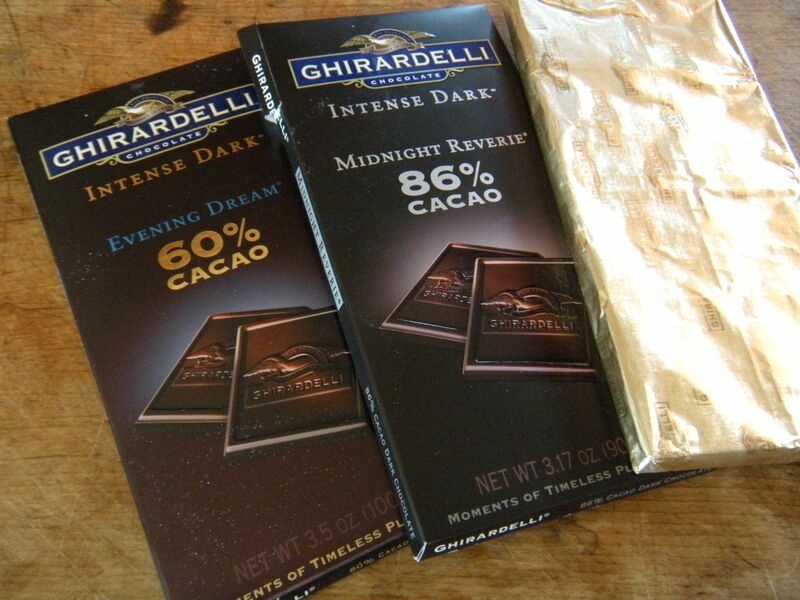 So when I was at the grocery store, I bought two bars of Ghiardelli chocolate labeled “Intense Dark.” My first thought was to bake batches of the chocolate mixed individually and to compare the taste. But in the end, I cut up the chocolate, mixed both kinds of bitter chocolate together in the cookie batter and slid the baking pan into the oven. Here they are cooling on the oversized rack that I’ve been hoping to use for some time. Here’s also hoping that the Bruins win tonight and go on to win their game 4 on Saturday night to clinch the Stanley Cup. Because at this rate, all of the healthy eating influences in the last few months will have been obliterated by our cravings while watching the playoffs. I guess we could try carrot sticks or something but these bittersweet chocolate chip cookies are a lot more fun. The true test is of course how they taste. I just tried my first one, splitting it with G. to see what they were like. I’m not really much of a desserts person myself, which is why these crisp, light cookies with dark chocolate are so delicious! They are a lot less sweet than ones made with Nestle’s semi-sweet chocolate chips. Moreover, the FLAVOR of the bittersweet chocolate is intensely enjoyable. Here’s to the Bruins winning tonight!